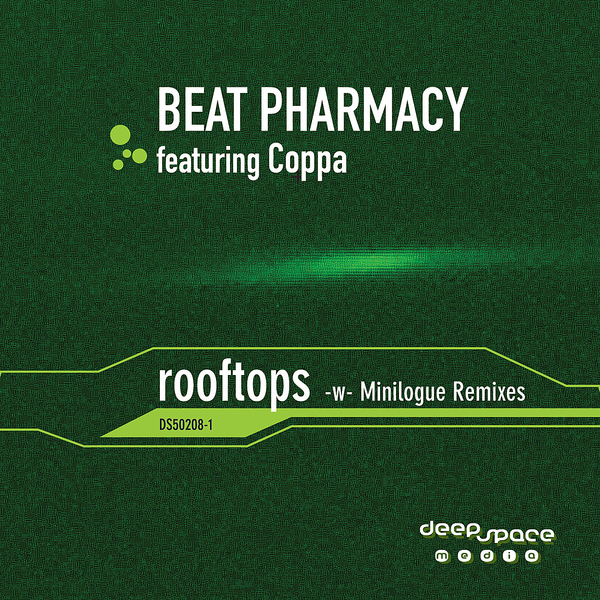 The relentlessly productive Brendon Moeller returns once again under his Beat Pharmacy Moniker, lifting 'Rooftops' from his Wikkid Times long-player. With assistance from vocalist Coppa, Moeller sets out a lighter dub blend than the more reduced, Basic Channel influenced material he releases under his own name, despite calling upon some of the same sort of compositional elements, The beats on his own version of the track carry more of a swing, eschewing any sense of minimalism, although that area's expertly covered by Minilogue on their gloriously deep and detailed 'Moscow Remix'. There are real surprises ahead on the drone-scaped 'Floating Mud Remix', which adds an entirely different dimension to the EP, while more full-blooded propulsions can be found on the very serviceable 'Taqsim Remix'.